Toronto, Ontario. 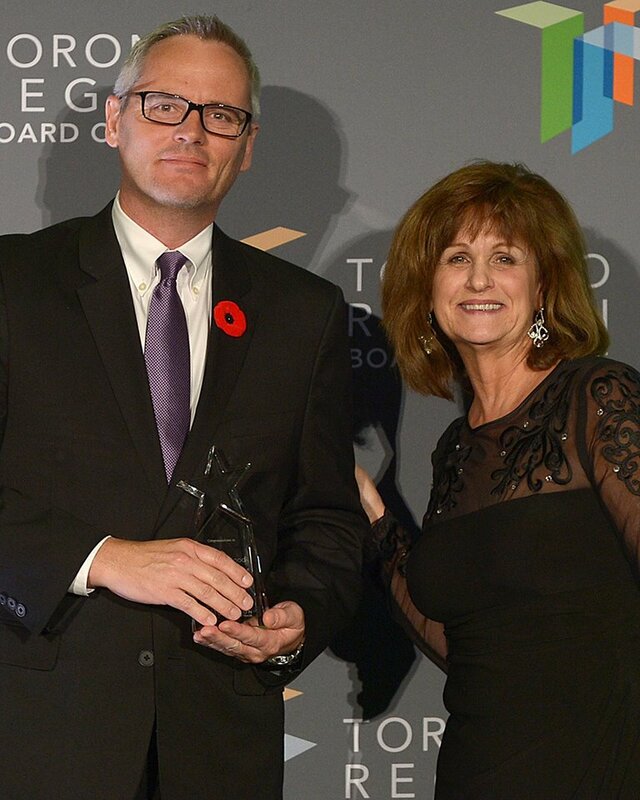 Compugen Finance is proud to have won the Toronto Region Board of Trade’s 2014 Business Excellence award for Sustainability. The Award was presented at the Business Excellence Awards Ceremony at Toronto Don Valley Hotel on 6 November 2014. The Award recognizes a business or community organization which, cognizant of the interconnectedness of all aspects of its surrounding community, has and demonstrates a decidedly long-term orientation reflecting its genuine desire to build diverse, inclusive, and balanced communities, and to develop and nurture sustainable growth which is mindful of resource limits, either within its own business/organization or in the broader community. In acknowledging the award, Steve Glover, Senior VP, Compugen Finance Inc., said, “We are grateful to the Toronto Region Board of Trade for recognizing the success of our Green4Good program. This fall we are celebrating the achievement of raising $1,000,000 for charities and the corresponding diversion of hundreds of thousands of IT assets from recycling into continuing productive use. We appreciate receiving such a prestigious award, both in terms of its focus on long-term sustainability in our industry, and its parallel focus on community building”.